The popular KA-15 Series now includes Bundles for soprano, concert, and tenor models. 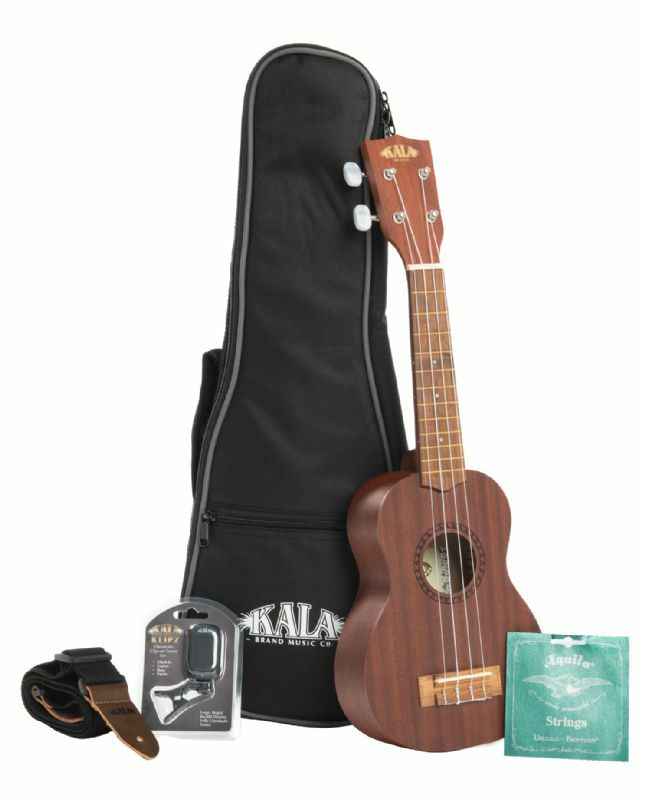 The best entry-level ukulele on the market is now available in bundles that include a Kala logo gig bag, clip-on tuner, strap, and an extra set of Aquila® Bionylon strings. Players easily got their money’s worth before, but these new bundles are unbeatable. Available in three sizes, the traditional look of these high-quality Mahogany ukes are great for players of any skill level.